Top Zika investigators now believe that the birth defect microcephaly and the paralyzing Guillain-Barre syndrome may be just the most obvious maladies caused by the mosquito-borne virus. 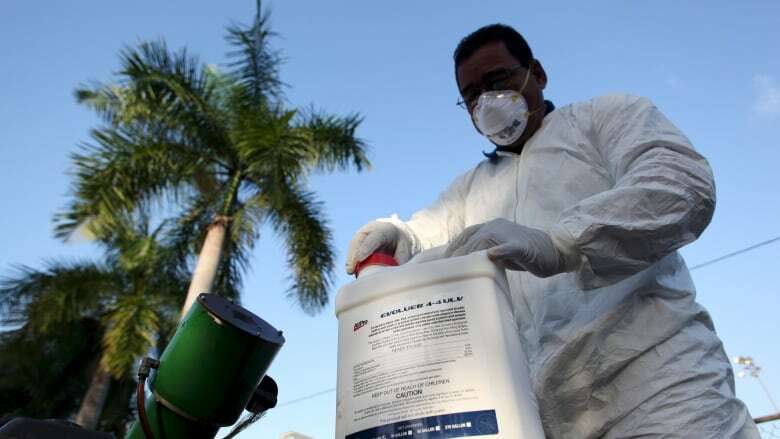 Fuelling that suspicion are recent discoveries of serious brain and spinal cord infections — including encephalitis, meningitis and myelitis — in people exposed to Zika. Evidence that Zika's damage may be more varied and widespread than initially believed adds pressure on affected countries to control mosquitoes and prepare to provide intensive — and, in some cases, lifelong — care to more patients. Zika infections confirmed in 9 pregnant travellers in U.S. The newly suspected disorders can cause paralysis and permanent disability — a clinical outlook that adds urgency to vaccine development efforts. Scientists are of two minds about why these new maladies have come into view. The first is that, as the virus is spreading through such large populations, it is revealing aspects of Zika that went unnoticed in earlier outbreaks in remote and sparsely populated areas. The second is that the newly detected disorders are more evidence that the virus has evolved. The Zika outbreak was first detected in Brazil last year and is spreading through the Americas. It has been linked to thousands of suspected cases of microcephaly, a typically rare birth defect marked by unusually small head size, signaling a problem with brain development. Evidence linking Zika to microcephaly prompted the World Health Organization to declare a global health emergency in February. The suspicion that Zika acts directly on nerve cells began with autopsies on aborted and stillborn fetuses showing the virus replicating in brain tissues. In addition to microcephaly, researchers reported finding other abnormalities linked with Zika including fetal deaths, placental insufficiency, fetal growth restriction and injury to the central nervous system. Doctors also are worried that Zika exposure in utero may have hidden effects, such as behavioural problems or learning disabilities, that are not apparent at birth. First discovered in the Zika forest of Uganda in 1947, the virus circulated quietly in Africa and Asia, causing rare infections and producing mild symptoms. A 2013 outbreak in French Polynesia, the largest at that time, led researchers to make the Guillain-Barre link. Other neurological effects were noted but scientists made little of them at the time. An estimated 32,000 people in the French Polynesia Zika outbreak were infected, and 42 patients were confirmed to have Guillain-Barre, a 20-fold increase in incidence over the previous four years, the WHO reported. Another 32 patients had other neurological disorders, including encephalitis, meningoencephalitis, myelitis and facial paralysis. Guillain-Barre is an autoimmune disorder, in which the body attacks itself in the aftermath of an infection. But the newly discovered brain and spinal cord infections are known to be caused by a different mechanism — a direct attack on nerve cells. That has prompted scientists to consider whether the Zika virus also may infect nerves directly in adults, as they already have suspected in fetuses. Other mosquito-borne viruses — including dengue, Japanese encephalitis and West Nile — are known to directly infect nerve cells in the brain and spinal cord. But such viruses are seldom associated with Guillain-Barre, and never with microcephaly, said Baylor's Hotez. In addition to Brazil and French Polynesia, at least 11 more countries and territories have reported hundreds of cases of Guillain-Barre syndrome linked to Zika. In Brazil, Guillain-Barre cases jumped 19 percent to 1,708 last year. El Salvador, a country that has an annual average of 196 cases of Guillain-Barre, reported 118 cases in six weeks in December and January. They also want to study whether prior infection with dengue or chikungunya — two related viruses — are contributing to neurological disorders seen in patients with Zika.